Just got these on Friday and have not used them as yet. My first impression is that the larger bag is really small compared to my current, outdated but legal carry on. Not sure if I will keep them and will continue to shop online and in person for other options. The under seat piggy back bag is fine however. I have decided to send these items back. When compared to other carry on sets, they're just too too small. I love the set. Itu2019s the ideal set to carry on my trip. I save $50 dollars from r/t checking luggage. I wish I had bough two sets. 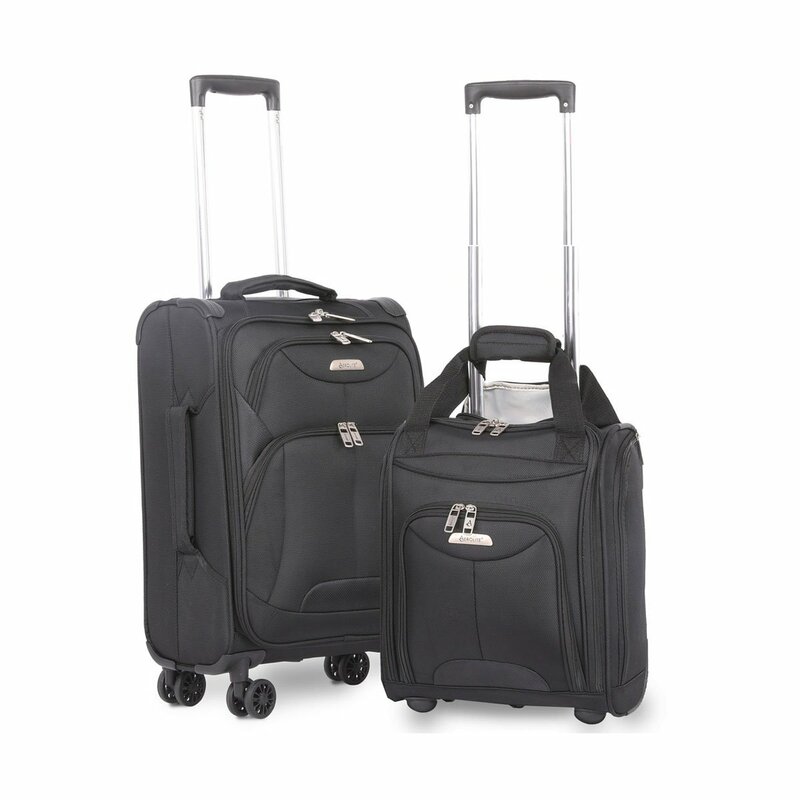 These are light weight, sturdy and the perfect size for international travel. Good value for the price - I am very happy with my purchase! The perfect size. Easy to tote. Used luggage to fly to Mocooro and only wanted carry on. It worked great. Not as expected. Way smaller than it appears. Returned. Only bags I needed for my Europe trip. Great features. Would be nice to have a longer pull handle on the smaller one, but it was not a big deal.